A German computer hacker has demonstrated how easy it is to foil biometric fingerprint security by using nothing but commercial software and a couple of high resolution photos of one’s hand. To prove it, he recreated the German defense minister’s print. German hacker Jan Krissler, aka 'Starbug,' claimed that by using a high resolution photograph and freely available commercial software, he could replicate the German defense minister’s fingerprint, implying that it would be enough to hack her biometric security. 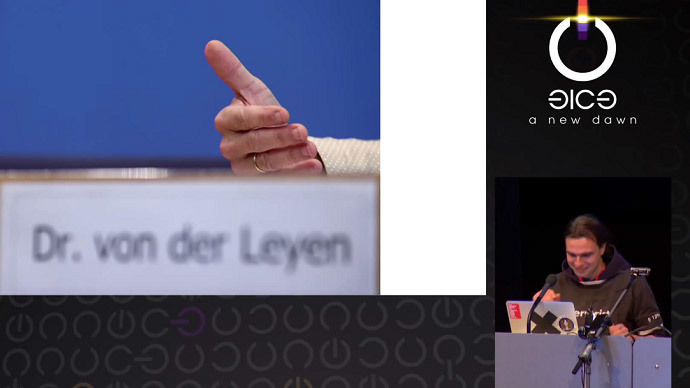 Krissler took a photo of Defense Minister Ursula von der Leyen’s thumb from a distance of three meters, plus several other pictures of her thumb taken at different times, and used a program called Verifinger to recreate the print. Starbug is known for circumventing Apple’s Touch ID, or fingerprint reader, just 48 hours after its release. Reproducing a fingerprint using photos further exposes the vulnerability of biometrics security measures. As the CCC convention organizers said on their website, "in the past years, it was successfully demonstrated a number of times how easily fingerprints can be stolen from [their] owner if a person touched any object with a polished surface...With this knowledge there will be no need to steal objects carrying the fingerprints anymore." Experts agree that while mainstream biometrics security measures that rely on static information – such as face recognition or fingerprints – may not seem easy to forge, they can certainly still be faked.